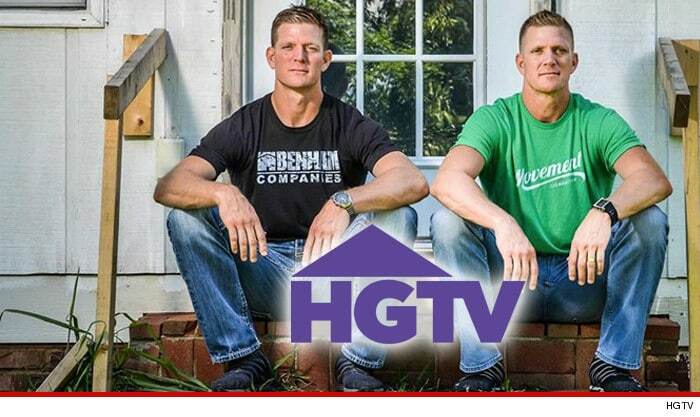 If you’re a huge fan of HGTV design shows, continue reading to discover 8 canceled HGTV shows which fans would love to see back on their TV screens. In Decorating Cents lucky individuals and families would learn how to give a room in their house a well overdue makeover, using the design know-how of Decorating Cents expert interior decorators. What makes Decorating Cents unique is that each makeover had a budget of just $500. Which made Decorating Cents a hit with DIY fans who were looking to pick up a few handy tips on how to decorate their homes on a budget. As most homes which are in dire need of a makeover have outdated kitchens, Spice Up My Kitchen was an incredibly popular HGTV show. As viewers were looking for design tips on how to turn their outdated kitchens into functional, modern kitchens, which would increase their house prices. If you ever wished that you could make your home look the stylish homes which feature on the cover of popular home design magazines, you’d love watching Secrets From a Stylist. As each week Secrets From a Stylist’s host Emily Henderson would help individuals and families transform their home into an effortlessly chic, showroom style home. If Henderson’s name rings a bell, you might recognize Emily Henderson from season 5 of Design Star, which also screened on HGTV. Gardening By the Yard is one of the most successful gardening shows to air on HGTV. As a result Gardening By the Yard aired new episodes for 13 years. In each episode Gardening By the Yard’s host Paul James would teach viewers helpful gardening hacks such as how to create a thriving vegetable garden and how to make your own compost. Designers Challenge was hosted by Chris Harrison who eventually moved on to hosting The Bachelor and The Bachelorette. In Designers Challenge up and coming interior designers would face off against each other in quick design challenges. Which were designed to test their creative flair and their practical DIY skills. Before Genevieve Gordon hosted Design Star, she hosted Dear Genevieve, a design show where each week Genevieve would answer a fan’s letter for help solving a hard to fix design problem. In She’s Crafty, Wendy Russell the show’s host would teach her viewers how to make simple decorative crafts, which they’d then be able to use to decorate their home on a budget. Designed to Sell was the first home renovation show that focused on fixing up properties, which would then be sold for a profit. While Designed to Sell boasted a variety of different designers, who would appear on different episodes, each designer would only have a $2000 budget to transform the home which they’d be tasked with renovating and decorating. So if you’re a huge HGTV fan it may be worth seeing if you can find old episodes of the design shows listed above online!